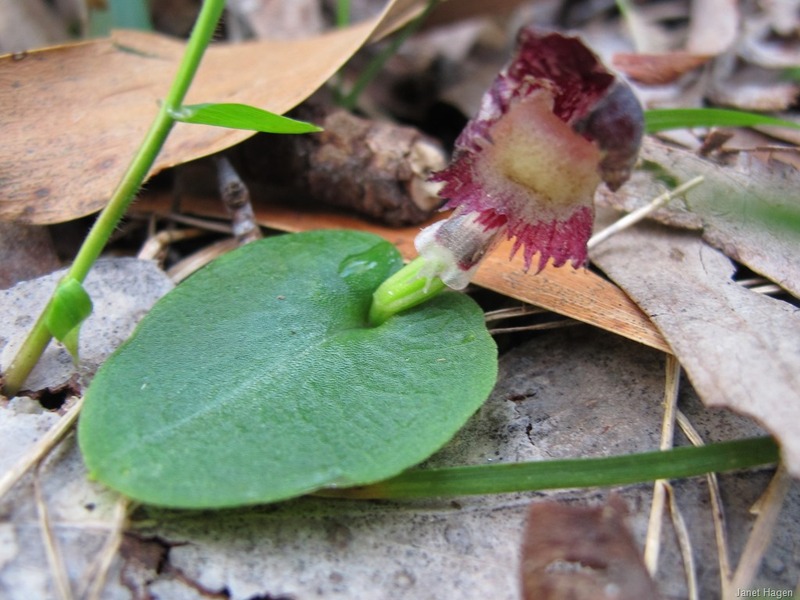 Veined helmet orchids, Corysanthes dilatata , are common in the moist sheltered forests and gullies of the Strathbogie Ranges. They are tiny and often grow in association with bracken and tree ferns . It is difficult to distinguish it from the Stately Helmet Orchid Corysanthes diemenica ( I may be incorrect in my naming ). Helmet orchids have nearly finished flowering and a majority of the flowers in this clump were black and shrivelled. Around Ruffy we often spot the flat heart shaped leaves but seldom find flowering plants. The wet winter has been kind to all greenhood species, go looking in your favourite orchid site now. Next Next post: Farm dams for wildlife.